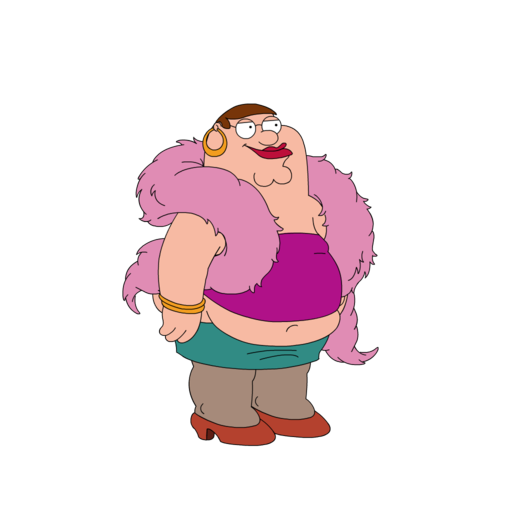 With the introduction of Family Guy: The Quest For Stuff there’s a whole cast of characters to unlock in your rebuild effort of Quahog! These overview posts are designed to give you a quick breakdown of the characters, how you unlock them & their tasks so you can play FGG more efficiently! 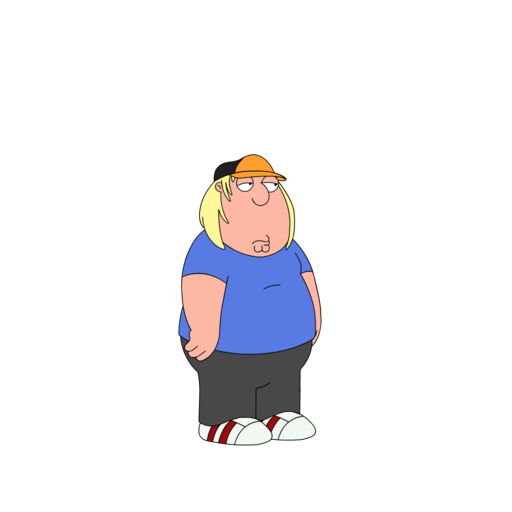 The next character we’ll tackle on our character overview is Chris Griffin. Chris is the second character that you’re introduced to in FG:TQFS and is the first character you’ll need to get stuff to unlock. So let’s break down Chris and his tasks….. Required to Unlock: Repair Griffin House, $5 & 5 seconds. You’ll be walked through the “stuff” you need to earn to get Chris, but it’s Pants, Dirty Socks, & 5 coins. So there you have it, the break down of Chris Griffin and his tasks in FGTQFS! What do YOU think of Chris’s tasks? How about his costume? Sound off in the comments below, you know we love hearing from you! 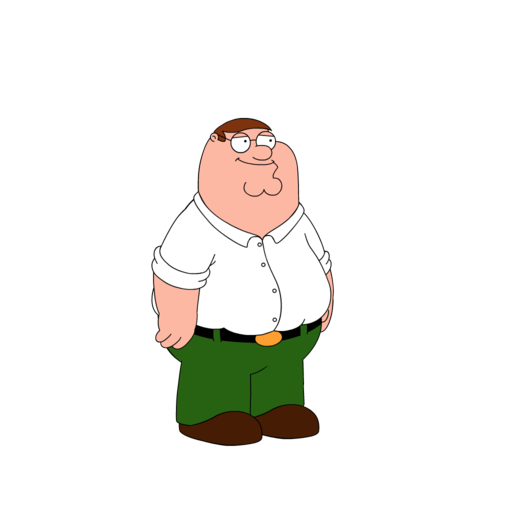 This entry was posted in Characters, District 1, Game Play and tagged Family Guy Addicts, Family Guy Game, Family Guy Quest for Stuff, Family Guy Tapped Out, Family Guy Tips and Tricks, How Do I Get Costume for Chris?, How Do I Unlock Chris's tasks?. Bookmark the permalink. 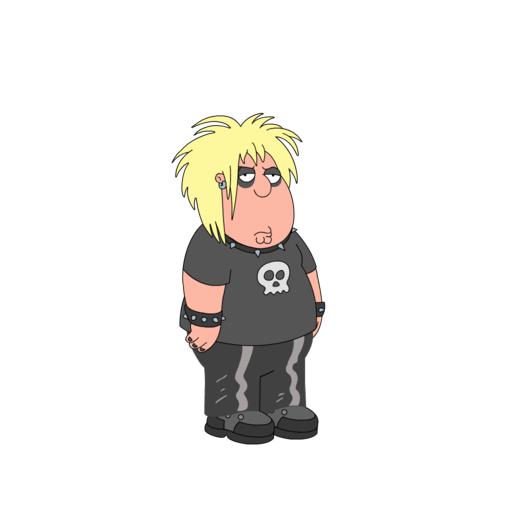 i keep getting a notification saying “Your chris griffin is hungry, come back to quahog to feed it” what does that mean? Check your inventory to see if it ended up there. If not, use the picture of it in my post below to see if you can locate it in your decorations menu. Let me know if that helps. I have a small update on XP levels Alissa. While leapfrogging just now, Peter reached XP level 15. However, Chris’ XP bar now says MAX after level 14. He is no longer gaining XP. So Chris can go no further than maxing out level 14 XP bar. My Bonnie lies over the ocean, I mean my Bonnie is currently at level 11 and still going strong. I’ll let you know if she maxes out at level 15 too when I get there later in the week. Now have amassed $33k coins, goal is at least $50k coins. Well TSTO is still my baby. 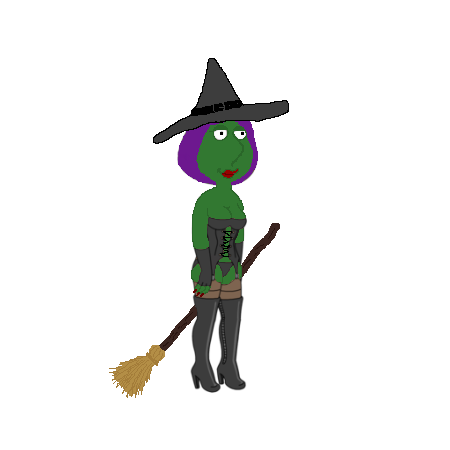 But wWhenever I’m waiting for stuff to finish in TSTO, I’ll come over and leapfrog and bake sale for a bit. $20 every 6 seconds adds up quickly. If I spend a whole minute, I usually make $110. So a minute here and a minute there makes a big difference. I was just wondering, do you know how many levels are in the game so far? And how many levels are there for the individual character level ups like Chris as well as Peter and Bonnie? From what I am seeing there’s no level stoppage I either side. Most characters unlock all of their tasks by level 10 (except Peter his last one unlocks at level 14). But from what I’ve seen they can keep going after that. As far as levels go I have my rushed game (for walkthroughs) at level 22 right now and it’s still going. I think this game maxes out at districts vs levels. You’ll see when you unlock the Civic Center and complete those actions most other actions stop. Showing that’s the max point. Thanks Alissa. I only ask cause after being locked out for over 36 hours, and discussing the pros and cons with Bunny, I decided to go ahead and create another account last night. 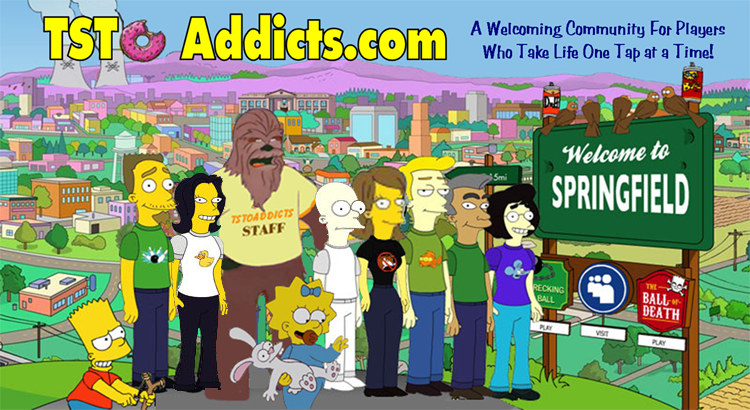 After paying one last visit to my level 8 city with 6 characters and 4 districts unlocked that barely had any coins, I created a new account last night and called it quits on the previous one. I only have Peter, Chris, and Bonnie now and just district 1 unlocked. I only fat leapfrog 6sec and bake sale 6sec when I have some spare time. In a few short spurts, I’m already back at level 8 (almost level 9 city), Peter and Chris are level 13 while Bonnie is level 10 and I have around 30k coins. Was considering just to keep going with those three until the game reached its max level. But since there is none that we know of yet, maybe I’ll just keep going for a few weeks until you guys are done all your summaries and I know I have enough coins to unlock all the districts and clean up all the land. Chris just unlocked for me when District 4 opened up. Exploring this new game and with all it’s variables is great fun! I’m not sure about the character level needed to unlock Goth Chris. My Chris is on level 7 and Goth Chris is not unlocked. My friend has Chris at level 5 and His Goth Chris is unlocked. Unlocked meaning built or unlocked meaning can build? I think for a lot of the costumes it’s a combination of Character level to unlock it and District unlock to see it, if that makes sense. Like for example…Mermaid Peter won’t appear in Al Harrington’s..even with a lock sign on it…until you’ve unlocked Pirate’s Cove. What about alist of the things he says when you tsp him?